If your opener starts behaving erratically, or fails to work at all, and you're not sure exactly what's causing the problem, there are some basic troubleshooting tips you can follow to root out the issue. 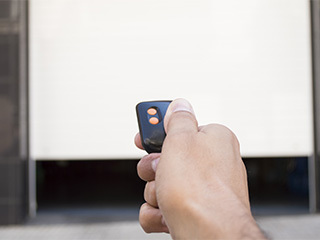 The most common reason why a garage door starts to reverse unexpectedly is often something to do with the opener's photo eye sensors. Sure, this can also happen due to blocked tracks and other mechanical faults, but more often than not, it's a sensor misalignment issue. Check to make sure the LEDs on each sensor are green and not red. The lights should also be steady and not blinking or fidgeting. Make sure there's nothing blocking the sensors and that their lenses aren't scratched or dirty. Is It a Physical Problem? If your opener seems to be running fine, and yet the door will not open, you should perform a visual inspection of the drive system. The trolley carriage or the drive itself could have sustained some type of physical damage that may have caused them to become detached from the door. A metal chain can break, a belt can tear and even the threaded rod of a screw drive opener can have some issues. If you fail to find a problem, the issue could lie with the motor itself. This should be handled by a professional, so you're safer getting one of our technicians to take a look. This may seem like a trivial question, but you'd be surprised how often people forget to check this basic thing. If you do discover that your opener remote control batteries are dead, don't beat yourself up for it. At least now the problem can be solved very simply and quickly. However, if you replace the batteries and the opener still isn't working, make sure that all the other control units, such as the wall-switch and the keypad (if you have one) are also producing the same result. This will help you determine whether the problem lies with one of these, or with the opener itself. If you check the power source and don't find any visible damage to the power cable, there may be a problem with the opener's circuit board. Again, this is a problem that should be handled by experts, so have one of our technicians take a look.